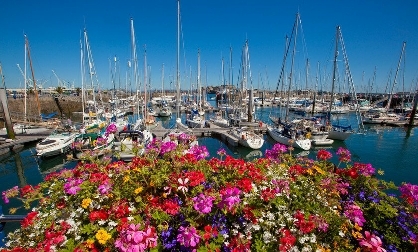 Guernsey is an island in the English Channel off the Normandy coast which boasts mild winters and sunny summer months. There is an array of things to do which will suit everyone's needs. For the outdoor enthusiasts, why not try kayaking, windsurfing, food foraging or try your hand to a spot of sea fishing? Alternatively, if you prefer to keep your feet firmly on the ground, there is plenty to see and do. The island is steeped in history with its prominent 800 year old Castle at St Peter Port or feel the buzz from the cosmopolitan eateries using all locally sourced ingredients. The Peninsula Hotel is ideally situated near the sandy beach on the north-west coast of the island. The hotel has wonderful views over the Grand Havre Bay and a sheltered beach at the edge of 5 acres of private landscaped gardens. All rooms have en-suite with satellite television, hairdryer, direct dial telephone and tea and coffee making facilities. There is WiFi available free of charge in the hotel lobby and a lift can access all floors.